Chrysler and Kango are expanding their ride-sharing service partnership to a second market this fall. The automaker is joining with the app-based, on-demand service providing rides and childcare for kids from preschool to high school in both San Francisco (the original market) and now Los Angeles. In this first-ever partnership between a family rideshare service and an automaker in the U.S., the Chrysler brand will make a fleet of Chrysler Pacifica Hybrid minivans available to eligible Kango, the ride service that helps parents get their kids where they need to go, when they're not able to do so themselves. 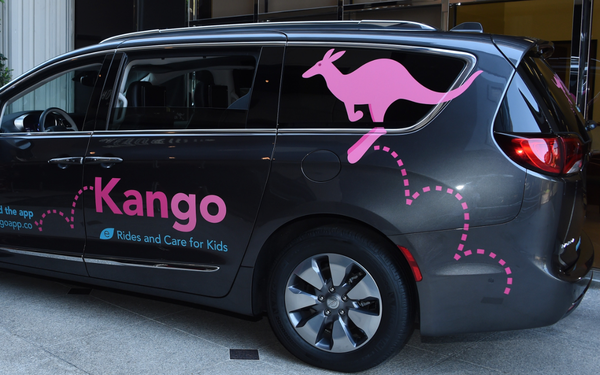 The two companies kicked off the partnership last week with an exclusive event in Los Angeles which featured a Q&A with Vince Maccani, Chrysler head of marketing operations and Sara Schaer, co-founder and CEO of Kango. Chrysler Pacifica Hybrid minivans will outfit Kango drivers with branded vehicles featuring state-of-the-art plug-in safety and technology features. The Chrysler Pacifica Hybrid is the first electrified vehicle in the minivan segment and achieves 84 miles per gallon equivalent (MPGe) in electric-only mode and 33 miles of all-electric range.